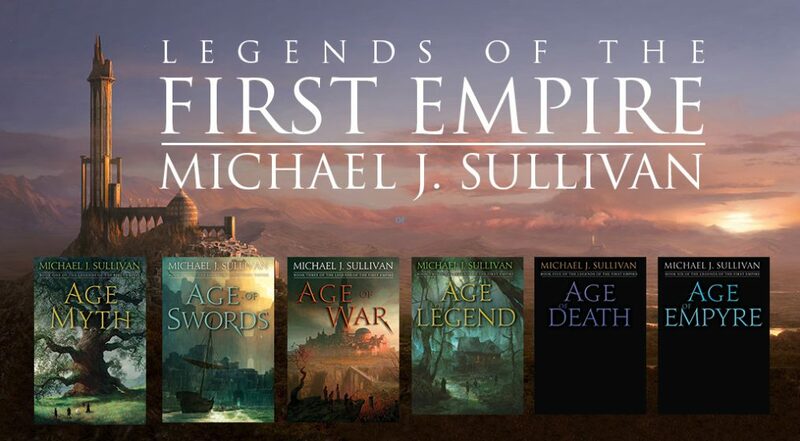 Yep, I’ve finished the last book of The First Empire – the trilogy that turned into 5 books is now completed. While the editing process still has to be dealt with, that’s nothing compared to getting the story fully fleshed out. All told it took me 772 days to write this. Now I have about 8 days to give it the “once over” before I send it over to Robin for alpha reading. I’ve already incorporated my notes for things I needed to change as I was writing, but I need to look at book #4 and book #5 as I think some events may shift between these two. In any case, all of that is minor when held up against the task of getting the endpoint of the story penned and completed. Always exciting to complete a multi-book series! Recently I finished “the big climax” and only had a few little scenes to clean up to be done with the series and I’ve gotten next to nothing done for the last 4 days! All kinds of things are getting in the way…a AMA that I’m still answering questions for. A day when I couldn’t concentrate at all, so I went “out” to try to clear my head. Then I pulled something in my back…reminding me that I’m an old man. So now that I’m right at the finish line I’m not getting across. Hopefully this will be remedied soon. Gifford would never win a footrace. He was late coming to this realization; everyone else knew it the day of his birth. It took years for him to accept that his dead leg wouldn’t revive and his twisted back wouldn’t straighten. He had hoped for a miracle, to be healed, to be normal. It didn’t happen. His leg and back weren’t the worst of it. Even the dead half of his face, which made it hard to see and a struggle to talk, wasn’t the worst of it. When he was young, he thought ridicule held that distinction. Everyone had called him something, none of them good. Gavin Killian had dubbed him The Goblin, and Myrtis, the brewmaster’s daughter, proclaimed him broken. Of the two, he preferred The Goblin—he’d been infatuated with Myrtis back then. For Gifford, it wasn’t hard to understand why “crush” was used for both a humiliating defeat and adolescent love. Over the years the names faded. No one called him The Goblin anymore, and if people still thought of him as broken, they didn’t say so—at least not to his face. After the name calling ended, his nighttime degradations became the worst part of being him. Gifford had as much trouble governing his bladder while asleep as he did controlling his legs and mouth when awake. He woke most mornings smelling rancid in a wet bed. He’d dealt with his bed wetting as he’d learned to live with everything else, by finding a way to adjust. He never drank at night and slept naked on a thin layer of straw. He woke early and replaced old bedding for new before anyone else stirred. There was always a way, always a path forward, even though his roads seemed narrower, rockier, and strewn with more thorns than others. Gifford didn’t see himself as a victim; he preferred to focus on the positive. While nothing came easy, he found ways to manage. Things that were impossible he concluded as unnecessary. He had everything he truly needed…everything he wanted. Almost. Despite his optimism, it wasn’t possible to ignore there was a worst part of being him, and every time he was with Roan he knew without question what that was. Near as I can tell I have 4,000 – 6,000 words left to write. Just one more scene that will need a couple of different POV’s so it will take a few days yet, but things are wrapping up nicely. I still have to go over it from start to finish before I can pass it on to Robin. Her birthday is April 8th, and I should be able to hit it by then…for sure. Yes, just seven more chapters to go. I’m over 100,000 words now – at 105,000. Writing continues to go well. After I get done with this first draft, I’ll need to go over it again and if all goes well, Robin will have a new book to read on her birthday in early April.